ST. GEORGE – Four more arrests have been made in connection with a shooting incident that occurred Wednesday in St. George, bringing the total number of arrests made in the investigation to seven. 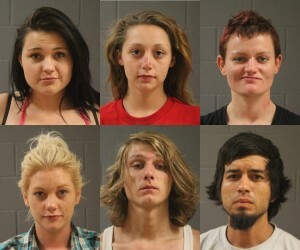 Taylor Morrison, 20, of Hurricane; Nevada Jennings, 18, of St. George; Sarah Strem, 20, of St. George; and Chelsi Sorrels, 21, of St. George, have each been arrested in connection with the investigation into a shooting that took place early Wednesday morning, according to a statement issued by the St. George Police Department Friday. 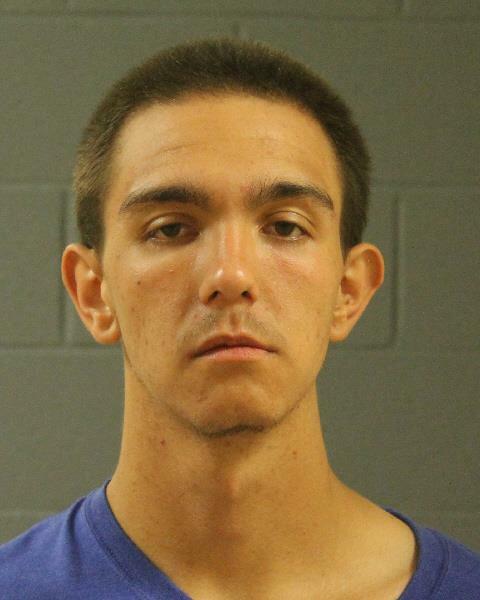 Two others, Seth Kimball Cox, 21, of St. George, and Eugene Paul Thompson Jr., 24, of St. George, were arrested Wednesday in connection with the investigation. Both were charged with felony obstruction of justice, and Cox was also charged with a misdemeanor for providing a false written statement to police. Members of the Washington County Drug Task Force and the Fraudulent Identity Security Task Force pursued leads Wednesday and Thursday in an effort to locate 18-year-old Riley Guerrero, who was wanted on a $100,000 attempted homicide warrant in connection with the shooting. According to police, Guerrero is an admitted gang member. He allegedly shot a man in the torso in the area of 400 East and 800 South in St. George just before 4 a.m. Wednesday. The man was taken to Dixie Regional Medical Center in St. George and underwent surgery with injuries that were not life-threatening. Following a search and a request for information from the community regarding his whereabouts, Guerrero was located and arrested Thursday afternoon after detectives spotted him on the east side of St. George. Thursday afternoon, according to the press release, detectives were on the east side of town when they saw a group of people gathered around two vehicles near a residence. One of the people appeared to be Guerrero. Guerrero was seen getting into a vehicle and leaving the residence, the press release said. Detectives broadcast a description of the vehicle and its occupants to other detectives in the area. Morrison and Jennings were found in the vehicle when it was stopped. Detectives in the area of the initial sighting saw Guerrero run across a yard and jump into a silver car, according to the press release. They followed the car and called for backup to assist in a traffic stop. When they had enough police assistance in position, the detectives attempted to stop the car. The driver, later identified as Strem, tried to evade the officers. She drove about a block and then took a wrong turn, ending up in a driveway, unable to keep going. Guerrero was found in the vehicle and was taken into custody without further incident, the press release said. Interviews were conducted with all individuals detained or arrested in connection with the investigation, and detectives gathered enough information to begin a search for the gun that had been used in the shooting. “They responded to the desert area west of St. George and were able to locate a firearm that is believed to have been used in the shooting,” the press release said. Guerrero was arrested Thursday on the attempted homicide warrant. He has been charged with attempted murder, a first-degree felony, and threat or use of a dangerous weapon in a fight, a class A misdemeanor. At the time of the shooting, Guerrero was out on bond for charges of possession or use of a controlled substance, a third-degree felony; use or possession of drug paraphernalia, a class B misdemeanor; operating a vehicle without insurance, a class C misdemeanor; no valid license or never obtaining a license, an infraction; improper usage of lanes, an infraction; no registration card in the vehicle, an infraction; and following another vehicle too closely, an infraction. According to bookings information, his $5,500 bond for release regarding those charges has been revoked. Morrison has been charged with obstruction of justice, a second-degree felony. Jennings has been charged with obstruction of justice, a second-degree felony. Strem has been charged with failure to respond to an officer’s signal to stop, a third-degree felony; possession or use of a controlled substance, a third-degree felony; and use or possession of drug paraphernalia, a class B misdemeanor. Sorrels has been charged with possession or use of a controlled substance, a third-degree felony, and use or possession of drug paraphernalia, a class B misdemeanor. Cox, arrested Wednesday, was charged with obstruction of justice, a third-degree felony; providing a written false statement, a class B misdemeanor; possession or use of a controlled substance, a third-degree felony; and use or possession of drug paraphernalia, a class B misdemeanor. Thompson, also arrested Wednesday, is charged with obstruction of justice, a third-degree felony; two third-degree felonies and one class B misdemeanor for possession or use of a controlled substance; and one class B misdemeanor for use or possession of drug paraphernalia. The Police Department also expressed thanks to citizens who provided tips that helped lead to Guerrero’s arrest. It’s all fun and games til someone gets shot. Well, at least they weren’t dancing. So how is the victim doing? Also, what happened? How did this all go down and why? I’m sure it had to do with drugs. St George is not the sleepy little town it used to be. Drugs and gangs are everywhere , do not let anyone fool you into believeing otherwise. If there was not a problem then there would be no need for a Drug task force or a gang unit in St George! Parents take a good look at these pictures. If your kids are running around or hanging out with them, there is a good chance they are doing drugs and/or are being recruited into a gang. That being said depending how close of ties your kid/s have with those allready arrested, you may want to get a lawyer read and expect your child to be arrested next. It appears they tell on each other and spill their guts, in hopes for lessors charges. It is all fun and games to play at being a bad guy/gal a real tough cookie. That is until they face the consensus of the choice they made. When that cell door shuts and the resounding thud echos through that concret prison even the toughest of criminal gets a cold chill down their spine as the reality of where there at sets in. These young folks now have felonies on their record that will follow them the rest of their lives. And that scumbag they were protecting/helping does not look like he is even worth a wooden nickel.